Ross Skilton B.Sc. (Hons), M.Ost. "I first visited an osteopath at Glastonbury Festival several years ago, after a particularly back-crippling night in a leaky tent! After the treatment I couldn’t believe it – my pain had gone, I felt taller, more upright and incredibly relaxed! At the time I had a successful career in the pharmaceutical industry, monitoring the safety of new and existing products, but had been yearning to move into a career that gave me more direct involvement in patient care. It was the positive experience I’d had of osteopathic treatment combined with an awareness of the varied side-effects that pharmaceutical drugs can cause that led me to embark on a career in osteopathy – a drug-free approach to healthcare. I set up South Downs Osteopathy in 2011 following the completion of a 5-year Masters Degree in Osteopathy at the British School of Osteopathy. Whilst there I attended specialist clinics in sports injury, pregnancy care, paediatrics, elderly care and pain management in patients with HIV, in addition to working with the NHS in GP and hospital settings. It was immensely rewarding being able to offer osteopathy to a much broader section of the population and this is something I have been keen to offer in my own practice. Born and raised in Brighton & Hove, with family roots in Henfield, West Sussex, I am committed to providing a high quality, good value service to my local community. Unfortunately osteopathy is not available free on the NHS in Brighton & Hove, however I offer a 25% discount to patients referred to me by their NHS GP. My hope is that this will go a small way to giving osteopathy the recognition that it deserves, as an effective, holistic form of manual medicine that can be highly effective at treating people of all ages and backgrounds with a variety of musculoskeletal pains from head to toe. I look forward to working closely with you to improve how your body functions." 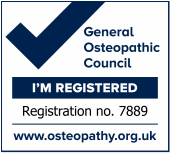 Ross Skilton is registered with the General Osteopathic Council and is a member of the Institute of Osteopathy. He has a Masters degree in Osteopathy from the British School of Osteopathy (2011) and a Bachelor of Science degree in Physiology with Pharmacology from the University of Southampton (1999).